If you’re following recent developments in the foreclosure courts, you already know that many lenders have stopped their foreclosures cold because they have no confidence in their very own mortgage documents. Apparently, with the securitization of mortgage backed securities, “Wall Street” failed to keep track of the actual mortgage documents. For analogy, imagine the paperwork that evidences each residential mortgage as a stack of paper six inches high. Imagine how many six inch stacks of paper can fit into a semi-trailer. Now imagine each semi-trailer full to the brim with these six inch stacks. Remember, each six inch stack represents only one mortgage. Think of the loaded semi-trailer as the hard asset upon which each mortgage backed security was created; one semi-trailer for each mortgage backed security that was created. With that in mind, imagine that the semi-trailer representing only one of seemingly countless mortgage backed securities, is bought and sold multiple times each day to multiple investors from all over world . . . every day for several years. What happened to the semi-trailers? Where are all of those loan documents that together comprise the mortgage backed security? Recently, “60 Minutes” suggested that hundreds of thousands of loan documents were re-created by companies outsourced by our nation’s largest lending institutions. These re-created documents are nothing more than forgeries. Any lawyer who knowingly forecloses a debtor based on fraudulent documents commits a fraud on the court, not to mention exposing their client to significant liability. Meanwhile, associations, large and small, suffer from a continued lack of assessment revenue from these stalled foreclosures. For a time, upon proper motion, the trial courts were ordering stalling lenders to either move their foreclosures along or pay assessments. On appeal, the appellate courts reversed. Primarily, they held that where a remedy at law exists, the trial courts could not create equitable relief for associations. With that in mind, how can the lender ever be responsible to pay assessments before it finally acquires title to the property? The answer, pending the financial strength of your association, might be a bankruptcy to reorganize the debts of the association. In these situations, a Chapter 11 bankruptcy might just be what the doctor ordered. Not only does it provide the restructuring of existing debts, but it allows the federal bankruptcy court to do what the state courts cannot. Specifically, under federal bankruptcy law, the court can order the secured creditor (in this case, the lender whose mortgage is secured by the property) to pay a “surcharge” during the reorganization. As discussed in the recent United States, Southern District Bankruptcy Court case, In re the Spa at Sunset Isles Condominium Association, the federal bankruptcy “surcharge” can be implemented to require a lienholder (the lender) to be charged with the reasonable costs and expenses incurred by the debtor (the association) to preserve or dispose of the lienholder’s collateral to the extent that the lienholder derives a benefit as a result. The lender had argued that any order requiring it to pay the “surcharge” was improper because state law had already prohibited requiring the lender to pay towards the upkeep of the property prior to the time it acquires title to the property as a result of its own foreclosure. The bankruptcy court looked to Article VI of the United States Constitution, the Supremacy Clause, which provides that the laws of the United States “shall be the supreme law of the land and the judges in every state shall be bound thereby, anything in the Constitution or Laws of any state to the contrary notwithstanding.” The court required the lender to pay their pro rata share of preserving the association’s common elements. 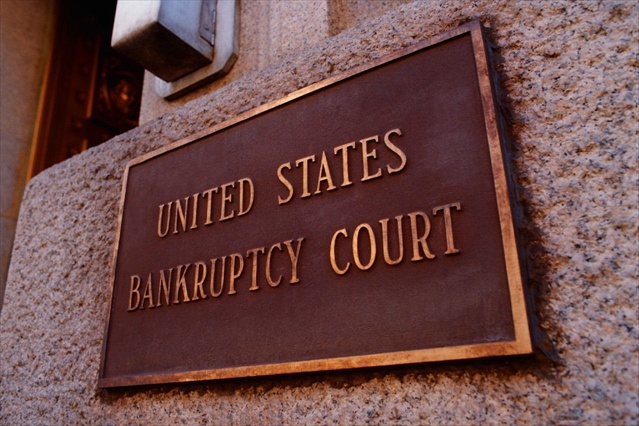 Not every association is a candidate for a Chapter 11 bankruptcy. Pending the number of foreclosures in your community, the financial shortfall created by the debt, the association’s cash on hand, the ability of the association to pay its debts, etc., a Chapter 11 bankruptcy may or may not be appropriate. Clearly, the necessary first step is consultation between the board and qualified bankruptcy counsel.